Paul McCartney is hitting the road again – and he’ll be returning to the Chicago area this summer. The music legend announced Tuesday that he’s added 14 US dates to his “One on One” tour, including a performance at the Hollywood Casino Amphitheatre in Tinley Park on July 25. Tickets go on sale to the general public on Saturday at 10 a.m. CST, with several presales scheduled for VIP concertgoers, Citi and American Express cardholders and Live Nation members scheduled beginning as early as Wednesday. 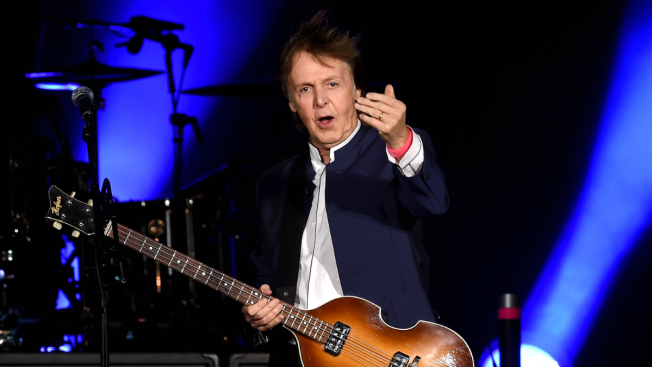 McCartney’s “One on One” tour began in April 2016, and has featured surprise appearances from several guests including Neil Young, Rihanna, Bob Weir of the Grateful Dead and even Jimmy Fallon and New England Patriots tight end Rob Gronkowski, in performances around the world. Other Midwest dates include July 19 in Wichita, Kansas, July 21 in Des Moines, Iowa, and July 23 in Omaha, Nebraska. After a series of five shows in New York and New Jersey, McCartney's final performance on this tour will be in Detroit on Oct. 1.